An Independent Medical Evaluation, Can You Obtain One On Your Own? Under Nev. Rev. Stat. 616C.140(1)(a) any employee who is entitled to receive compensation under chapters 616A to 616D, inclusive of NRS shall, if requested by the insurer or employer, submit to a medical examination at a time and place reasonably convenient for the employee, and as may be provided by the regulations of the Division. In other words, you must attend an independent medical evaluation (“IME”) if the Insurer sets it up for you. What happens if you do not show up or refuse to go to the IME? Under Nev. Rev. Stat. 616C.140(5), if the employee refuses to submit to an examination ordered or requested, or obstructs the examination, the right of the employee to compensation is suspended until the examination has taken place, and no compensation is payable during the period of suspension. Meaning, the injured workers’ benefits will be suspended, including but not limited to Temporary Total Disability (“TTD”) compensation the injured may be receiving. The reasons the injured worker may be required to attend an IME are numerous. The injured worker may have pre-existing conditions and the Insurer may be wanting to find out if those conditions have been aggravated, precipitated, or accelerated pursuant to Nev. Rev. Stat. 616C.175. Because if they have, the condition then becomes part of the claim. 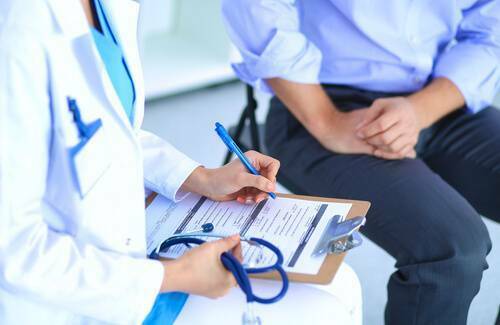 In the alternative, there may be relevant medical questions about how many body parts or to what extent should they be covered under the claim that the Insurer may require more medical opinions. Or unfortunately, although not all Insurers do this, the Insurer may be simply looking for a medical opinion that favors their position. Regardless of the reason, the injured worker must go or they risk their benefits being suspended. The Insurer pays for the cost of the IME. Here is where there is a problem for the injured worker. This process is one-sided. The cost of an IME for up to four hundred (400) pages of medical records can be three thousand dollars ($3,000.00)! Many if not most injured workers do not have that kind of money to even consider obtaining their own IME at their own cost. The injured workers’ insurance company will not pay for the IME as it is work related. This is what is referred to as “medical handcuffing” the injured worker. The Insurer has seemingly unlimited funds however the injured worker has none and is at an extreme disadvantage. This is not an area of law you should tackle yourself, nor is any part of workers’ compensation. Therefore, it is advised you seek an experienced attorney who is able to assist in obtaining all benefits that you are entitled to under Nevada law.